Owen heads up the Commercial & Private Client Litigation team specialising in the main in commercial and corporate disputes. In particular he deals with IT related disputes; tax litigation and shareholder/partnership disputes but also deals with a huge variety of other matters including Data Protection; Defamation; Contentious Trusts and Probate and general Contractual disputes. Owen is also a Solicitor Advocate and has appeared as an advocate at all levels of the court system including the House of Lords and the Privy Council. Owen’s clients cover the entire range from large multi-nationals to smaller owner-managed businesses. Owen is also a Notary Public. 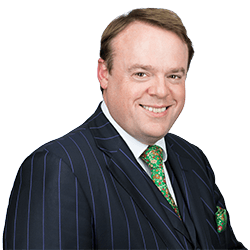 Owen joined Clarke Willmott in 1997 after studying at the College of Law in York having also completed his degree at the University of York. Owen acted for a former managing director and 15% shareholder of a business with an approximate enterprise value of £250m following his removal from the business. Extremely complicated proceedings followed with numerous Court applications and disputes ranging between the parties. As a result in part of Owen’s efforts our client had the opportunity in the end to purchase the business which he successfully did. Owen acted for a software supplier in dispute with its customer. The customer alleged that there had been a material and fraudulent misrepresentation during the sales process as to the capabilities of the software. The case was interesting factually as the alleged fraudulent representations were made orally during sakes pitches and interesting legally as the software was “off the peg” and the customer had had the opportunity (which he did not take them) to test its functionality against the alleged promises. The case was resolved most satisfactorily at a mediation. Owen has developed a somewhat niche practice acting for employers the subject of internal fraud by ex-(or at least soon to be ex-) employees. Owen has considerable experience of getting to the bottom of exactly how the fraud has been perpetrated; obtaining emergency relief from the court to prevent the fraudster making off with their ill gotten gains and seeking the assistance of third parties (under court compulsion if need be) in tracking down those gains and/or the evidence. Owen acted on an arbitration arising out of a dispute between a major petrol retailer and our client as to the interpretation of particular payment obligations in respect of their very long term relationship. Owen negotiated a suitable ad hoc Arbitration Agreement (the arbitration provision in the agreement was itself unsuitable). The dispute itself turned on whether a particular clause re a performance payment provided for quarterly or annual calculation and the arbitration itself threw up interesting issues of admissibility of evidence construction. The sums involved were extremely substantial. Owen has a very well established practice in the field of costs recovery. One of the key elements of whether a claim is genuinely successful or not is the amount of costs that one eventually recovers from the other side (or avoids having to pay the other side in the event that you have lost your case). This is an exceptionally technical area of law in which Owen has a very highly regarded knowledge having conducted numerous assessments over the years in courts up and down the land dealing with bills up to and including £18m.